This 5K is for you! Not a triathlete? Perhaps you want to loosen up your legs before the big triathlon event on Saturday morning. Either way, you are invited to take part in our Annual Friday Night Rock the Beach 5K. In 2018, this race was sponsored in part by Essentia Health. Leaving from the beach near City Park, the course is an easy out-and-back along North Shore Drive. For the little kids who want to run like mom or dad, we are offer a Kids Run. The run will be held just prior to the Rock the Beach 5K race. Every kid is considered a champion for finishing and receives a medal. In addition to the 5K and Kids Run, join us for an evening of family fun at our Family Fun Fest with inflatable games and food! 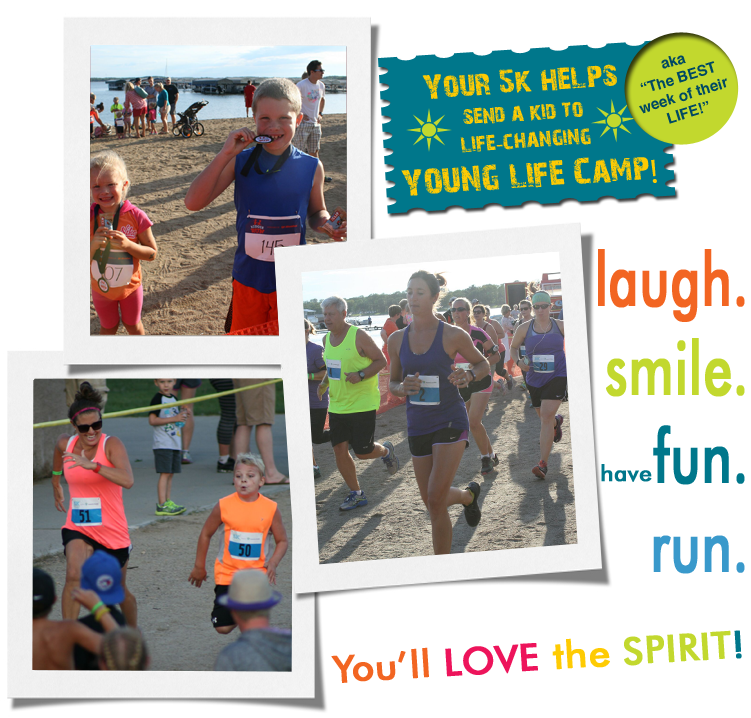 Run a race, sponsor a kid to Camp! That’s right, your race registration helps send a kid to YoungLife Camp! The Best Week of Their Life – Young Life Camp! That’s a rousing (and unsolicited) endorsement! But how else would you describe a week where deep relationships are forged in the midst of mind-boggling fun and where you experience and listen to what we believe is the greatest love story ever told?